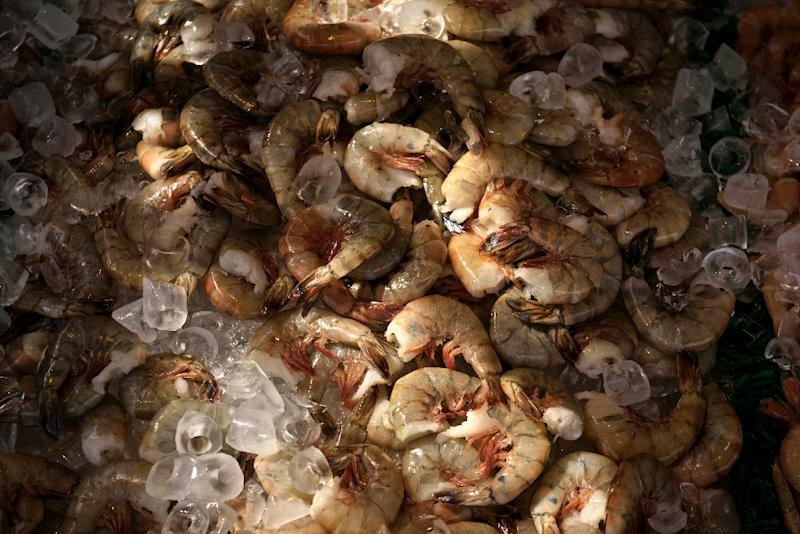 Miami (AFP) - The price of big-sized shrimp can rise as a direct result of pollution from fertilizers that cause dead zones in coastal waters, US researchers said Monday. The study in the Proceedings of the National Academy of Sciences is the first to show how a low-oxygen water problem called hypoxia is related to the climbing price of seafood. "Many studies have documented the ecological impacts of hypoxia, but establishing a clear causal link to economic losses in affected fisheries has been elusive," said lead author Martin Smith, professor of environmental economics at Duke University. "Our study does this by showing how seasonal hypoxia off the Louisiana and Mississippi coasts drives monthly fluctuations in market prices in the Gulf brown shrimp fishery, a major fishery that was once the most valuable in America." Coastal hypoxia is a worldwide problem linked to fertilizer use in agriculture. Fertilizers raise the levels of nitrogen and phosphorus in the land, and when it rains, the runoff from inland watersheds can lead to the growth of oxygen-consuming algae offshore. The so-called dead-zones that result can affect marine life by slowing the growth of fish and shrimp, in some cases sparking widespread die-offs. Small shrimp become more abundant than large ones, and the price of big shrimp spikes, said the study, which found a recurring pattern in price hikes of Gulf of Mexico brown shrimp from 1990 to 2010. These price hikes coincided with months when hypoxic dead zones occurred, often in late spring and summer. "Because fishermen are catching more small shrimp and fewer large ones during these months, the price of small shrimp goes down and the price of large ones goes up, creating a short-term disturbance in the market that we can track," Smith said. Researchers said their findings could likely be applied to other fisheries worldwide, showing that the significance of an ecological problem can be assessed in the price of affected natural resources.